Keeping your information private from invasive trackers is a big concern these days as everyone clamors to pick up every little bit of data about your online viewing habits. Ian Paul, PCWorld, offers three extensions to keep your connections to websites encrypted, block companies trying to track you and erase any browsing data cached in your browser. 1. HTTPS Everywhere. HTTPS Everywhere is a Firefox, Chrome, and Opera extension that encrypts your communications with many major websites, making your browsing more secure. Many sites (including Facebook, Google and Twitter) automatically en­­crypt browsing sessions using HTTPS, the security lock icon next to the website URL. However, most sites supporting HTTPS don’t use it by default. Created by the Electronic ­Frontier Foundation, a digital advocacy group, HTTPS Everywhere forces your browser to use HTTPS encryption if the website makes it available. You don’t have to do anything except install the extension. 2. Abine Do Not Track Me. Abine Do Not Track Me (DNTM) protects you from third-party tracking methods online via cookies and other methods. It supports Chrome, Firefox, Internet Explorer, Opera and Safari. The company says DNTM has blocked over 1 trillion attempts to track users since introduced in 2011. To use it, just install it in your brow­­ser, and the extension keeps a running total in your web browser of the number of cookies blocked on each site. If you’re willing to pay $5 per month, you can also use the extension to protect your email address, phone number and credit card number when filling out Web forms. The downside of Abine’s extension, says Paul, is that you are putting your trust in a private company. 3. Click & Clean. Click & Clean offers one-click erase for your browser cache, download and browsing history, temporary Internet files, cookies and flash cookies. It supports Chrome and Firefox. It’s easy to find, manage and create backup copies of your browsing. Click & Clean does require configuring the settings so that the extension erases everything you want. Once you get it up and running, it’s very easy to use, says Paul. The company recommends reading its quick start guide before using it. 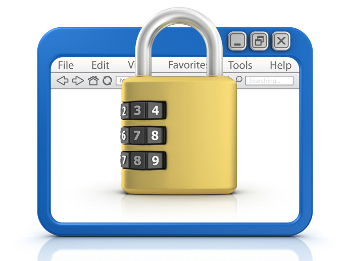 — Adapted from “Regain your privacy with these 3 browser add-ons,” Ian Paul, PCWorld.